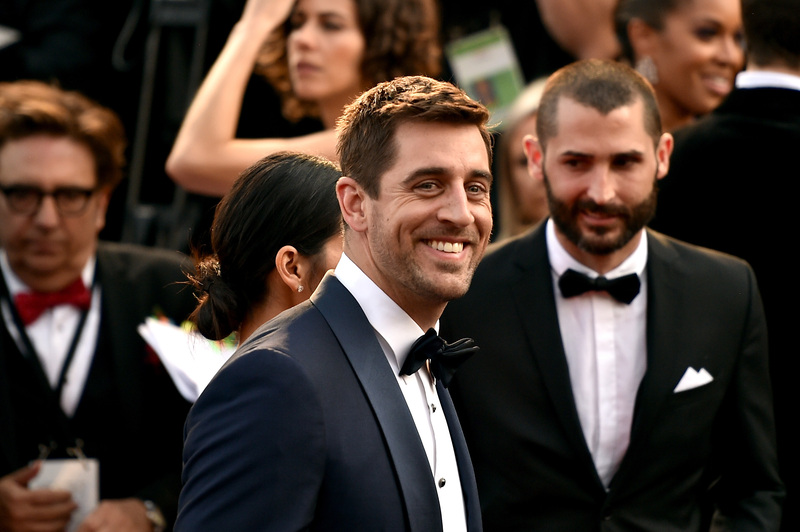 Green Bay Packers quarterback Aaron Rodgers seemingly has a pretty great life. He's a successful professional athlete in one of the world's toughest sports, who's currently dating Olivia Munn, seems like a nice, relatively grounded guy, and even has a younger brother on The Bachelorette this season. But what is Aaron Rodgers' net worth? That's a measure that often determines whether or not a person is considered a true success. And, I think almost everyone will agree that Aaron Rodgers more than meets the criteria for a successful guy: According to CelebrityNetWorths.com, Aaron Rodgers is worth somewhere around $30 million. Now that is an impressive amount of money. But while Rodgers' net worth is $30 million, he'll actually be worth quite a lot more as his career continues. In 2013, the Green Bay Packers signed Rodgers to a five-year, $110 million contract extension that, according to ESPN, made Rodgers the highest paid player in National Football League history. I don't quite know how that salary money will translate into boosting his net worth, but he certainly has a great deal of money coming in every year. And, with one Super Bowl title to his name in 2010, Rodgers may even earn more salary bonuses if he can bring his team another championship. Now, Aaron may be the highest paid member in the NFL when he received his contract extension a few years ago, but don't look down on his brother, Jordan Rodgers, currently one of the breakout stars on The Bachelorette this season. Reportedly, Jordan is worth $1.5 million, according to The-Net-Worth, and that's not bad. Jordan also played professional football, and while he retired in 2015, his Miami Dolphins contract suggests that he was taking home a salary in the $400 thousand a year range. It's not a record-breaking salary, but it's also pretty impressive, if you ask me. Jordan has had to deal with a fair amount of teasing from the rest of the cast about how he measures up to his brother, but he doesn't deserve it. Leave him alone, Chad! Aaron Rodgers' net worth is very impressive, especially if you consider that he's guaranteed to stay on the team until at least 2019, according to ESPN's report on his contract. But, it's not a reason to look down on his brother's success — both of the Rodgers brothers are very successful in their own right. Whether they're on Sunday Night Football or The Bachelorette, this family undeniably works hard and does very well.